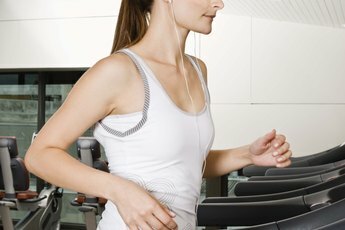 Do Rebounding Exercises Help Lose Belly Fat? Rebounding is a fun yet effective way to get a cardio workout. A rebounder is a small trampoline that helps improve cardiovascular health and fitness. 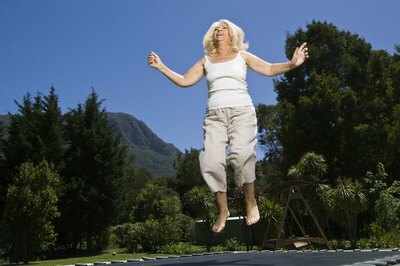 A gentle exercise that is easy on the joints and muscles, rebounding can be done by almost anyone. Although you cannot target only belly fat, rebounding is an effective yet fun way to get in your daily aerobic exercise while also shedding fat all over your body, including your belly. 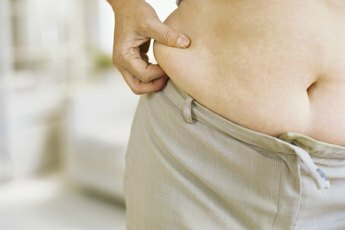 It is important to recognize, however, that exercise alone is only half of the battle when it comes to losing excess body fat. A proper diet made up of whole grains, lean proteins, fruits and vegetables is necessary in order to achieve the desired fat loss. Rebounding is an aerobic exercise, which means that the exercise elevates your heart rate, helping to improve your cardiovascular health. Aerobic exercise is one of the best ways to strengthen your heart and lower bad cholesterol, two key elements to fighting off heart disease. Rebounding will also lead to better cardiovascular fitness amd will help you to burn off excess body fat. Because rebounding is an aerobic activity, it aids in overall fat loss, which includes the fat around the belly. Just 30 minutes of rebounding five days a week will help you meet the guideline for daily aerobic activity, as well as help you to bounce away calories and fat. People often find aerobic activity boring and end up giving up on their weight-loss goals, but because rebounding is fun and can be done in front of the TV or with friends, your chances of sticking with it and losing more belly fat are greater. While rebounding will help you to torch calories and burn off fat, it will also help to strengthen your bones and your muscles. Strengthening your muscles will lead to a higher metabolism, which means that your body will burn more calories while it is at rest, a key element to burning excess body fat. Even though rebounding is a relatively safe exercise, it is always best to consult your doctor before beginning any new workout. Rebounding is gentle enough if you have issues with your lower-body joints, particularly your knees or ankles, but it is possible to aggravate an injury with the exercise. Familiarize yourself with the rebounder before beginning a full workout to avoid further injuries. What Are the Health Benefits of Rebounding on a Mini-Trampoline? 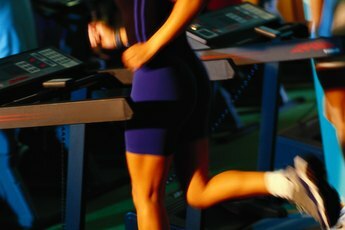 What Exercise Can Burn Off Your Pouch?